Description: United Safety’s reach is global and so are your career opportunities with us. Our vast presence and diverse activities allow us to give you room to grow in the direction you want. 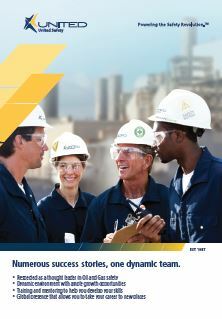 Read this brochure to find out why you should join our dynamics team.